Swartz Creek junior Max Cummings drives to the basket for two of his game-high 28 points against Holly on Friday night. SWARTZ CREEK, Michigan — Holly’s only two blemishes this season have now come against the top two teams in the Flint Metro League; and both, oddly enough, beat the Bronchos in the most inconceivable way. The Bronchos and their hard-to-handle zone defense have surrendered only an average of 46 points per game this season. In their losses to conference rivals Fenton and Swartz Creek, however, Holly gave up 68 and 69 points, respectively. For Swartz Creek, a win tonight really meant only one thing: win out and win a championship. That’s all this team thinks about, and it showed tonight as they stormed the boards in the second half, winning 69-51. The presence of 6-5 junior J.D. Tisdale was felt early on, as the Bronchos focused the bulk of their attention on the athletic combo guard. With Tisdale on the floor, it’s easy to forget that Swartz Creek has one of the top guards in the county in junior Max Cummings. Holly probably won’t forget again. The crafty Cummings is about as creative a scorer as you’ll find at this level. He sees all the angles, uses every inch of the lane and will surprise you with his quickness. Cummings scored a game-high 28 points. Tisdale, for his part, did the bulk of his damage in the second half to turn what had been a war (Creek led by only five points at the half) into a near rout. Creek led by as many as 22 in the half. Tisdale finished with 14 points and 16 rebounds (a season high). Senior guard Jared Plawski led Holly with 15 points. Over the years I’ve come to admire Coach Lance Baylis and his program; I expect the Bronchos to bounce back. They play hard and are well-coached. 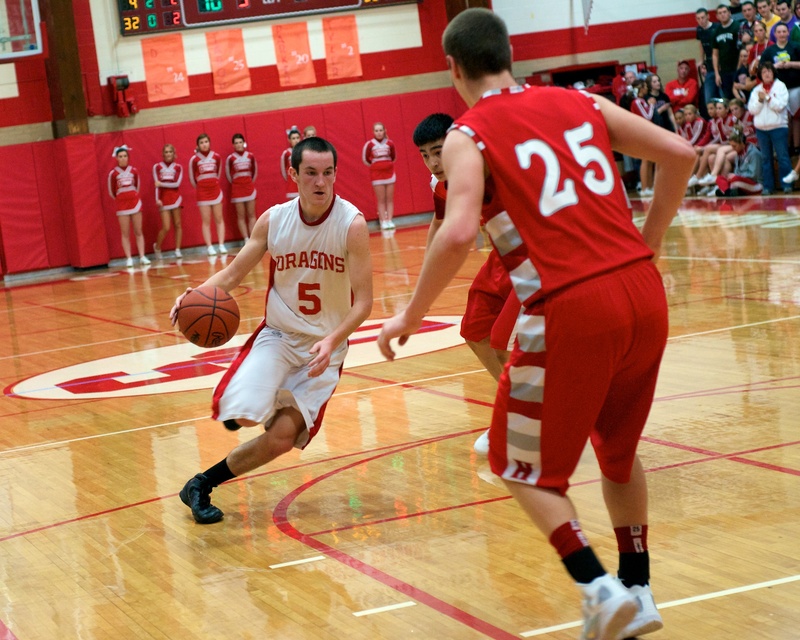 Baylis’ team struggled with Swartz Creek’s pressure, especially in the second half, leading to 21 turnovers. They also struggled mightily from the foul line and the 3-point range, two spots on the floor from which you’d expect much better from the Bronchos. The other variable was the absence of senior forward Nic Stoll. The Michigan Tech-commit watched too much of the game from the bench, as his troubles with fouls started early. He’s is the Bronchos’ best player on both ends of the floor, so losing him was crucial. Creek, to be fair, had foul issues of its own after a whistle-laden first quarter that nearly had Coach Jeremy Trent pulling his hair out. The future is bright for both these programs, as numerous underclassmen logged big minutes in a big game. Holly has a trio of freshmen who actually play (Parker Rowse, Isaac Casillas and Morgan Baylis) and Swartz Creek starts three juniors. In addition, the Dragons will soon reunite with sophomore scorer Marquavian Stephens, who doctors should clear to play in the coming weeks. He’s going to surprise a lot of people in both Fenton and Holly when he returns. This should be a great rivalry for many years to come. Mott freshman Jakob Perry scored 16 points in the Bears' 19-point win over Kirtland. FLINT, Michigan — For the second game in a row, Mott sophomore John Taylor showed why he’s among the top guards at the JUCO level. Taylor took what had been a competitive game in the first half and turned it into a rout, 69-50, Wednesday night at the Steve Schmidt Gymnasium. Taylor had 20 points, six assists and five rebounds to go with only two turnovers. And while Taylor was the show offensively, Mott dominated Kirtland in the second half with hard-nosed defensive pressure. The Bears forced Kirtland into numerous bad shots and limited the effectiveness of their two bigs, who scored a combined 20 points with nine rebounds. Mott held Kirtland to 32 percent shooting from the field, while hitting a ridiculous 16-for-21 as a team in the half. Early in the second half, Kirtland did hold a one-point lead. It didn’t last, however, as Taylor, just minutes later, led Mott on a run that culminated in a Kirtland timeout and a 10-point deficit. From there, the wind was at Mott’s back and it wasn’t close the rest of the way. Jakob Perry and Walter Davis added 16 and 10 points, respectively, for Mott. Stavros Schizas had 16 points for Kirtland and Jonathan Edwards, a Saginaw Arthur Hill product, added 12. Despite the loss, Kirtland remains in third place in the MCCAA Eastern Conference with a 14-4 record. The Bears return to action at 3 p.m. Saturday on the road versus Schoolcraft. 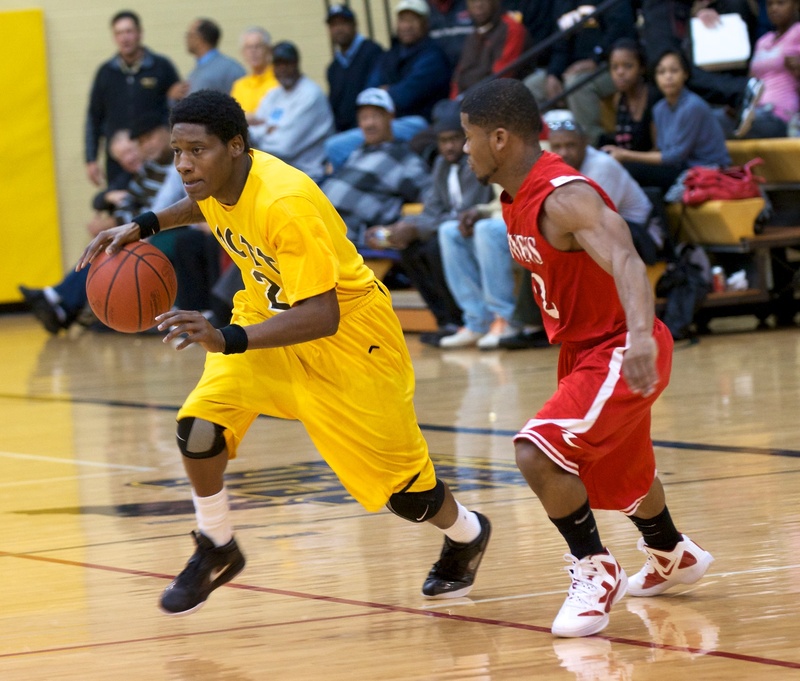 Mott's John Taylor is among the top JUCO prospects in the Midwest. 1.) 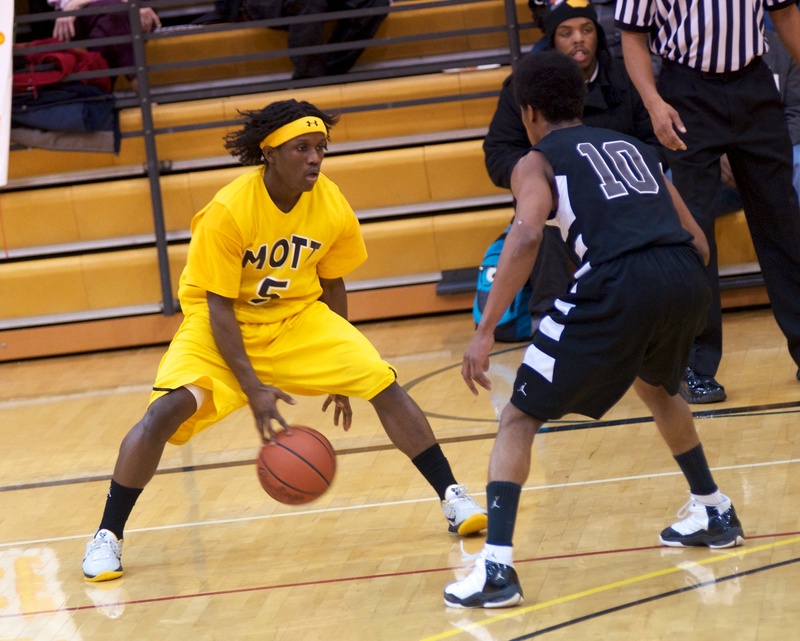 John Taylor, 6-1 guard, Mott Community College: Big-time player in the clutch. Taylor, from Chicago, is the best ballhandler I’ve seen at this level and is fearless attacking the basket. He averages 24 points per game on the no. 1-ranked team. 2.) 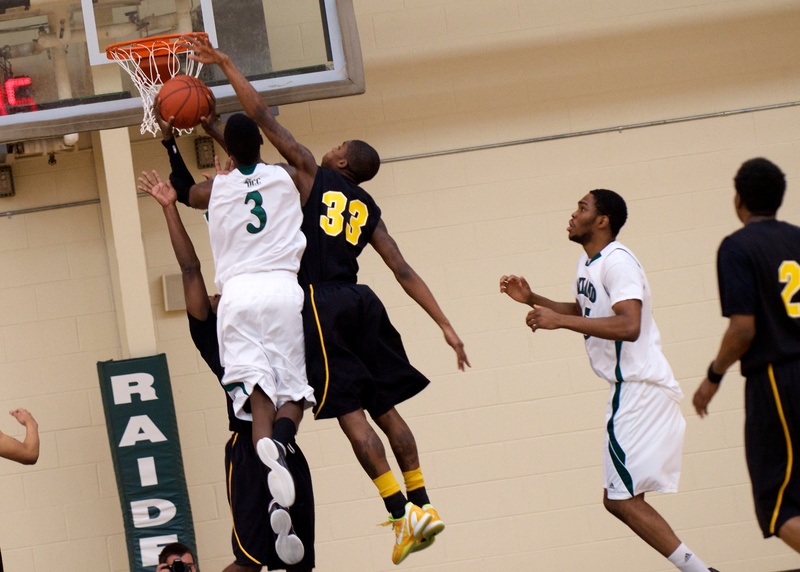 Jody Hill, 6-0 guard, Delta College: He’s slight, but an absolute killer on the offensive end. He can score in a multitude of ways. He made seven 3-pointers in a game against Glen Oaks earlier this season. He’s not a prototype point guard in any sense, though. 3.) James Still, 6-10 Center, Henry Ford: The D-1 transfer of “shaking the stigma” fame is now the man in the middle for Henry Ford. It’s rare to find quality big men at the JUCO level, but Still is about as close as you’ll get. He leads the Hawks with 18 points, 12 rebounds and five blocks per game. He hasn’t filled out as much as one would hope, but it’s hard to go wrong with a man his size at this level. 4.) Njoku Ugochukwu, 6-11 center, Oakland Community College: Ugochukwu seems to be a little under the radar at this point. He’s not flashy, but with his size and length he can be very effective in the middle. Thus far he has averaged 10 points, eight rebounds and more than four blocks per game. Even after two years at the JUCO level, I don’t think he’s physically ready to have a significant impact at the D-1 level. 5.) James Johnson, 6-5 guard, Jackson Community College: The kid who always had the upside is starting to meet my expectations. Johnson left Saginaw Heritage as raw and a bit passive. Today he’s much stronger physically and mentally and may well be the “Saginaw surprise” at the D-1 level. 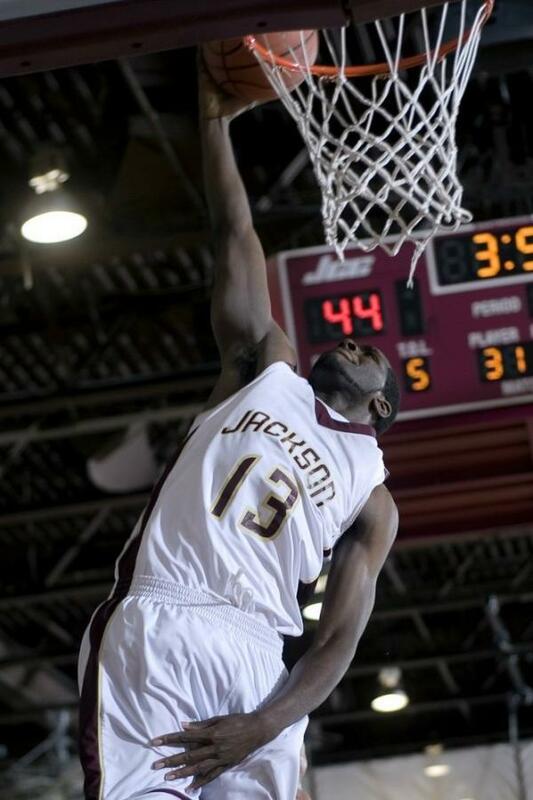 He leads Jackson with 16 points and six rebounds per game. He has also made 34 percent of his 121 3-point attempts. WATERFORD, Michigan — The biggest test of the season for the no. 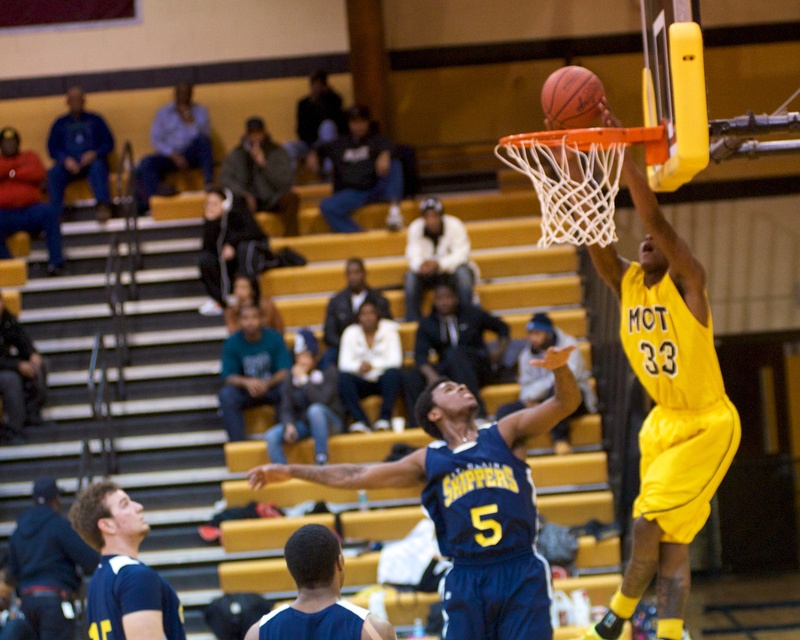 1-ranked Bears of Mott Community College came Saturday afternoon on the road at no. 15-ranked Oakland. The Raiders came into the game unbeaten in the MCCAA Eastern Conference and with an impressive 14-2 record. Mott’s players clearly understood the importance of the game, as they made nearly ever play late to vault their team into first place in the conference. The Bears led by two at the half and by as many as nine points in the second half en route to a 75-68 win. The final score isn’t, howver, an indication of what this game was: this was a war on both ends of the floor. In the end, Mott executed its game plan against a much bigger team and came away with their most important victory of the season. Mott sophomore John Taylor was a man among boys this afternoon, taking the ball to the rack with reckless abandon. He led all scorers with 27 points. Taylor had a full season’s worth of spectacular baskets in the lane in just one game. He was the difference-maker for Mott, though several Bears came through in the clutch including Walter Davis, Boo Williams and Ralph Eason. Mott’s undersized frontline including Davis, Kory Billups, Robert Littlejohn and Kortez Ross did an excellent job limiting the production of OCC’s 6-11 sophomore Ugochukwu Njoku. Mott (17-1) will welcome another of the MCCAA’s top teams into the Steve Schmidt Gymnasium on Wednesday night at 7:30 p.m. Kirtland comes into Flint riding a three-game winning streak. Matt Costello is a flat-out beast. The Bay City Western senior will be in East Lansing next year, but for now he’s just about as dominant a player at the high school level as you’ll ever see. Witness his performance last night against Flint Southwestern. Costello, in an 80-75 double overtime victory, scored 49 points with 20 rebounds, seven blocks and six assists. That’s just sinful; and trust me, I’m not out here acting like it’s easy to put a cramp in Costello’s production — it’s not. But how can you let one player go all Wilt Chamberlain on you knowing that limiting his touches is job number one? Honestly, I think Costello is the best player in the state and should be the Mr. Basketball winner. I think one could have made a legitimate claim that he was the most skilled player in the state last year as well. I have to borrow a phrase from Keyshawn Johnson: “C’mon man.” 49 and 20? Mott sophomore Walter Davis slams home two of his 14 points against St. Clair Wednesday night. FLINT, Michigan — Wednesday night’s two big games on the JUCO circuit were both won by the favorites, setting up a showdown on Saturday in Oakland County. No. 1-ranked Mott upended rival St. Clair 78-65 while no. 15-ranked Oakland squeaked out a victory over Henry Ford, the team responsible for the only blemish on the Bears’ record this season, 70-68. Mott started slow against St. Clair, but rode the hot shooting hand of freshman guard Jakob Perry to an eight-point lead at the half. The second half belonged to Mott’s ultra-quick sophomore scorer John Taylor, who led all scorers with 27 points, nine rebounds and seven assists. Taylor is to ballhandling what former Mott forward Doug Anderson was to the dunk; he’s a showstopper. As good as Taylor was, though, this game was won on the defensive end. The Bears were all over the court, forcing the Skippers into 24 turnovers. Johnnie Mills, St. Clair’s best player (at least in my humble opinion), turned the ball over seven times in the game. He did, however, finish with a team-high 18 points and six rebounds. He’s exceptionally quick in his own right. Perry scored 15 points in only 19 minutes for Mott. Sophomores Walter Davis and Darryl Marshall added 14 and 13 points, respectively. Saturday’s game against Oakland tips at 3:30 p.m. Listen live on the Michigan Regional Sports Network. Wednesday night will feature two big matchups in the JUCO ranks. No. 15-ranked Oakland Community College will host Henry Ford Community College at 7 :30 p.m.
No. 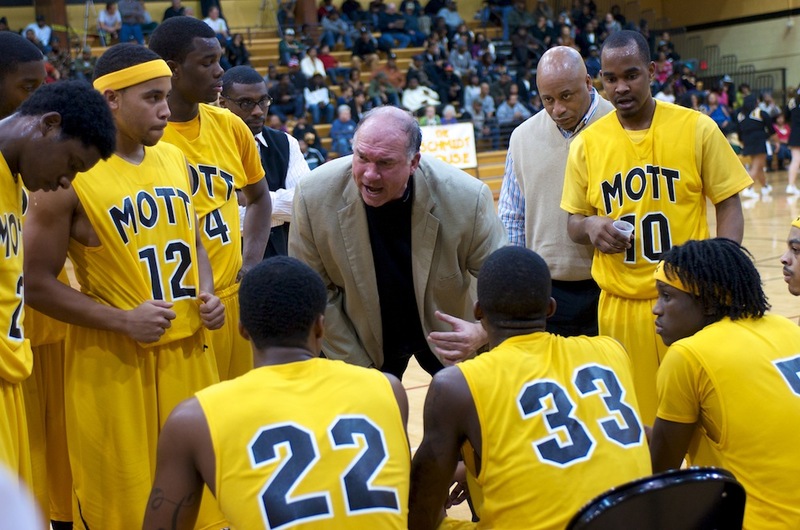 1-ranked Mott will welcome old rival St. Clair County CC into the Steve Schmidt Gymnasium. That game also tips at 7:30 p.m.
By the end of the season, I would not be surprised if these four teams are at the top of the MCCAA Eastern Conference. These games will go a long way toward deciding the order. Others receiving votes: Detroit Loyola 22, Madison Heights Madison 16, Clare 16, Madison Heights Bishop Foley 12, Rudyard 10, Saginaw Buena Vista 10, Detroit Midtown Academy 9, Delton Kellogg 8, Bloomingdale 8, Iron River-West Iron County 6, Hancock 6, Ubly 4, Detroit Allen Academy 4, Elk Rapids 4, New Haven 3, Flint Hamady 2.